"The New Savagery" is a poem by my uncle, Dean Young, from his book embryoyo. I texted Deano this morning, at 8:14 AM: "Can I name my blog after one of your poems: The New Savagery?" I live outside Philadelphia, in a small, drunk town called Ambler. Deano lives in Austin. He texted back at 9:15 AM: "Of course u can!" So now "The New Savagery" is also the name of this blog. 1 a: not domesticated or under human control: untamed b: lacking the restraints normal to civilized human beings: fierce, ferocious. I recently spent a few days laying on my back on my bed reading The Savage Detectives by The Great Alberto Bolaño. The book begins as a straightforward narrative of a group of "literary guerillas" in Mexico City who name themselves the "visceral realists." The group is led by two young poets, Ulises Lima and Alberto Belano. 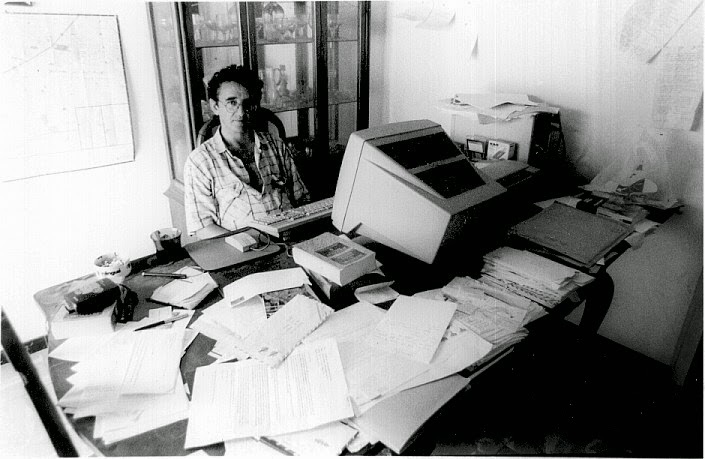 But 139 pages in, the novel changes form; for the next 450 pages, Bolaño offers first-person accounts from scores of friends, enemies, associates, and lovers of Ulises Lima and Alberto Belano. The first-person accounts amplify and sometimes contradict each other—they’re given by people whose lives briefly intersect with Lima’s and Belano’s from 1976 to 1996. Even so, a story develops, in the details. Page by page the novel gains momentum--and a sense of dread. Strange, seemingly unrelated details circle around each other, sometimes flirting with each other, sometimes exploding into momentous moments, as the poets move from Mexico City to San Diego to Paris to Barcelona to Tel Aviv, and beyond. "Only Arturo and the first man were left in the middle of the beach. Then they raised what they were holding in their hands and struck them together. At first glance I thought it was walking sticks and I laughed, because I realized that this was what Arturo had wanted me to see: some clowning around, a strange kind of clowning around, but definitely clowning around. But doubt crept into my mind. What if those weren’t walking sticks? What if they were swords? " In fact, they're swords, and they're ridiculous. "In a brief moment of lucidity, I was sure that we’d all gone crazy. But then that moment of lucidity was displaced by a super-second of super-lucidity (If I can put it that way), in which I realized this scene was the logical outcome of our ridiculous lives." I have a vague but perceptible goal in writing this blog: to clown around, yes, but also to offer, in earnest, my own series of strange, seemingly unrelated details--details that might begin to circle around each other, sometimes flirting with each other, sometimes exploding in a moment of discovery, as I move through a range of topics, from love to health, writing to style.